If you want total security for your home, you should invest in buying a lock from the top brands in the industry as they offer high quality products. Listed below are some of the top brands in the market. • Baldwin - This brand is synonymous with unsurpassed quality and innovation. This top manufacturer is in the business of making quality locks since the year 1946. If you are looking for something fancy plus high quality, this is the ideal choice as they offer high grade handcrafted products, which are functional and beautiful. • Kwikset - This is another top brand in the industry that makes affordable but high caliber locks. They produce handle sets, levers, knobs, deadbolts, and electronic locking systems. 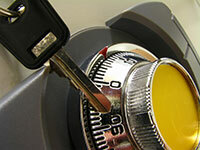 They also have smart key systems, which allow you to rekey locks without removing them. • Omnia - This is another top brand in the market. 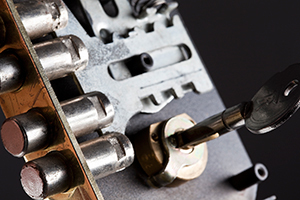 This manufacturer has been producing fine quality locksets since 1964. While this company supplies high quality products in the US, they are also popular in other countries like Central America, Hong Kong, Japan, Singapore, and Canada. Their products are simple yet modern styled. • Weiser - This manufacturer produces ornate custom designed locks. This is a popular brand used in many homes of celebrities. They specialize in high fashion, functional and top quality security systems. • Weslock - This is a reputed manufacturer of locks since 1932. They offer Grade II cylindrical versions which feature concealed screws, panic proof privacy locking, removable levers, knobs, and rosettes, and facilitate ease of installation. Their products are elegant, functional, and high quality. • Schlage - This brand offers serious, top notch locks. This is an ideal brand to choose, if you are serious about your home’s security. This lock is commonly used in commercial establishments, as their products are commercial grade quality. They make doorknobs, deadbolts, electronic locks, door levers, and other accessories. They not only produce high quality locks, but also stylish ones. These are the top brands in the lock industry. When choosing the locks, it is important to select high quality brands from the reputed manufacturers to ensure that your home’s security is unparalleled.